Our parents have been nagging us for years to “Take those headphones out! You’ll go deaf!” Who knew that, yet again, our parents would be right? Recently, researchers have uncovered the disastrous effects of earbuds on hearing in young adults. According to the American Osteopathic Association, 1 in every 5 teenagers will have some sort of hearing loss. That is a 30% increase in comparison to the hearing abilities of teenagers in the 1980s and 1990s. Researchers have found an almost direct link from young adult hearing loss to the advent of personal headphones. Headphone manufacturers like Apple and Samsung defend the invention claiming it’s not the machines themselves; rather, the volume at which the user plays his music. The International Journal of Audiology conducted an experiment to chart the damaging effects of personal music players on the hearing tissue. It was discovered that pain in the ear begins at 125dB, which is equivalent to the noise of a hand drill. Death of hearing tissue begins at 180dB, which is equivalent to standing 100 feet away from a jet engine for an extended period of time. These levels can be reached by regular, loud headphone use. Dr. David A. Schlessel of Stony Brook Medicine created a chart indicating the damage that can occur after using headphones depending on duration of exposure to noise pollution. At 95 dB, damage will occur after four hours of exposure per day. At 100 dB, damage will occur after two hours of exposure per day. At 105 dB, damage will occur after one hour of exposure per day. At 110 dB, damage will occur after 30 minutes of exposure per day. At 115 dB, damage will occur after 15 minutes of exposure per day. At 120-plus dB, damage occurs almost immediately. So how do we prevent the younger generation from having worse hearing than our grandparents? Dr. Foy of the American Osteopathic Association prescribes using headphones at 60% full volume for a maximum of 60 minutes a day. If surrounding bystanders can hear the music from your headphones, it’s way too loud. Doctors also recommend people invest in larger, over the ear headphones to avoid the inner ear damage. In previous generations, the leading cause of hearing loss was excessive noise in the workplace. Times have changed and headphones have surged in worldwide popularity. Changing teen’s habits before drastic hearing damage will definitely be difficult. If we’re being honest, I typed this entire blog while listening to music with headphones on full blast. Oh well. This entry was posted in Uncategorized on October 11, 2016 by Delaney Ann Flynn. As I am reading your post, I am currently lowering the volume of the music playing in my ears. Becoming deaf due to listening to music too loud is a very scary thought. It makes me wonder whether or not I have been listening to music at a safe level for all of the years that I have owned an iPod/MP3 Player. I feel that headphone companies are partly to blame for this. There is no reason they can’t restrict the maximum volume you can listen to your headphones at. A simple solution to this problem would be to first determine a safe decibel level where you don’t have to worry about blowing out your eardrums when listening to music. Then they can use this knowledge to restrict the maximum volume an iPod/MP3 player can play. This way, people who want to listen to music loud can do so without doing damage An old phone I used to own possessed a feature similar to this, however, it didn’t restrict the volume at which I could listen. It did provide a warning message that damage could be done if you continued to listen to the music at the current level. This feature can be useful if it is taken seriously. Being the dumb kid at the time, I didn’t put much thought into it. Thanks to the insight from this post, from now on if a warning message appears on my phone because I am listening to music too loud, I will turn it down. This idea is very similar to one of the articles read in class about how leaving your TV on at night can cause depression. Although there is no concrete evidence to prove this, turning off your TV before falling asleep is such a simple solution that can only benefit you, so why wouldn’t you take advantage of it. Turning down your music if it is too loud is just as simple, so from now on I will be sure to be more conscious of the decibel level I listen to music at. I must admit, like you, I had earbuds in as I read this entire post. Don’t worry, I just took them out. Personally, I prefer just listening to music on my phone without earbuds, but around people, my only choice is to use the dreaded earbuds. After ten minutes, my ears already ache and I don’t even enjoy the music anymore (maybe my ears are shaped oddly, I don’t know). According to this article (link below), there are ways to still use earbuds, but in a safer manner. The most common solution is to use noise-cancelling headphones. These headphones would eliminate background noise, allowing someone to listen to music on a lower volume, decreasing the amount of stress placed on your ears. 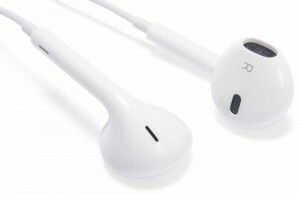 Also, if you hate headphones, there are ways to customize earbuds to fit one’s ear canal. Similar to the headphones, these earbuds would help to cancel background noise, preserving one’s hearing just a little better. Nevertheless, maybe next time I just won’t listen to music so I don’t have to worry. This is so interesting!!! I’m definitely judgmental of people who listen to their music really loud, but this gives an explanation to my judgement too! Music can be so dangerous and sometimes people can’t tell how loud is loud enough or too loud. I’m lucky enough that my phone tells me when I’m listening to my music too loud and gives me a warning that it could affect hearing, I think all electronics should have that warning. I really enjoyed this blog! Delaney, your blog is well thought out and written. You include studies that enhance your topic about hearing loss and headphones. The chart you included from Stony Brook Medicine is informative, but how do we know if we are listening to our music at 115 dB? It’s not like we sit there and measure the decibels as we increase or decrease our volume. I can definitely relate to this problem though. I am an avid music listener. I have to listen to music everyday or else I’ll go insane. Not really, but that’s just how much I love music. 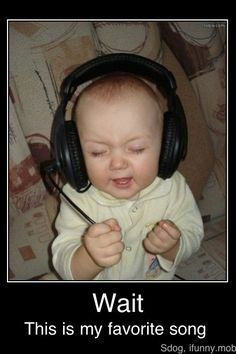 I usually listen to it with my Apple earbuds, however sometimes I put on my Beats. I do agree that it is better to listen to music through over the ear headphones instead of earbuds. Because I have listened to music through my earbuds for so long, I now have a continuous ringing in my ear. If it is completely silent I can always hear the ringing. This ringing is called tinnitus. Even though I self diagnosed myself with this impairment, I’m pretty sure I have it. I did some research on tinnitus, and it turns out that it can be very serious. Here is an article that articulates the notion of tinnitus and what to do about it. Hey Delaney! Your blog is so relevant to our generation and to my life especially. I see this occurrence where all younger children and teenagers tend to blast their music on full volume which is a huge long term issue. My sister plays her music as loud as it goes and i try to tell her to turn it down because not only does it annoy me that i can hear her music when she has headphones but it will hurt herself in the future. I have seen where this situation has actually hurt the hearing of adults because my dads hearing is not up to par and he told me that it occurred for this exact reason. I will use this advise from your blog and will listen to music not on full blast.